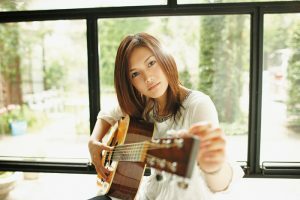 YUI (ユイ) is a Japanese singer-songwriter, multi-instrumentalist, and actress. Born and raised in Fukuoka prefecture, she played live at various locations in her hometown before being noticed by Sony Music Japan when she was 17 years old, and released her debut single months later. Her singles, however, were only met with moderate success until the breakout “Good-bye Days”, which charted for 44 weeks on Oricon and marked her as one of the Japanese music industry’s rising stars.